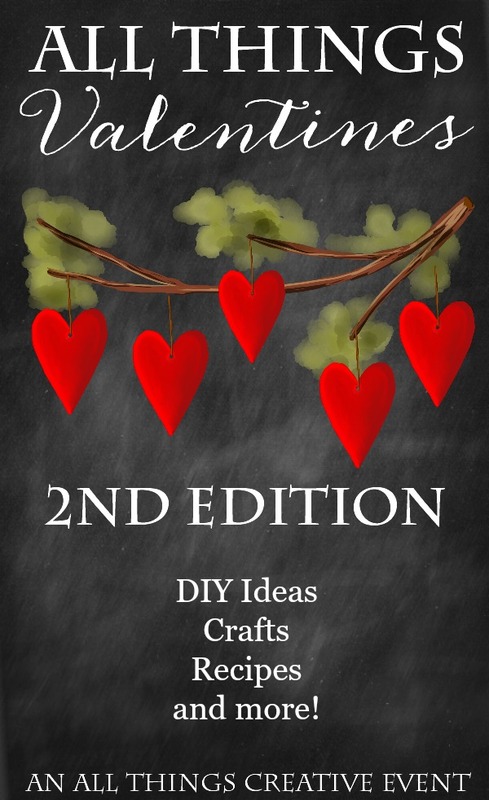 Year Two of All Things Creative continues and today we are featuring our 2nd edition of All Things Valentines. If you loved it last year, you are going to love this year even more. It’s bigger, better and loads of fun. There is DIY and home decor. We’ve got recipes and crafts. I know I’ve said this before but there really is something for everyone. Here’s our group! Before I let you go to check out the links, I want to thank everyone who stopped by my shop this past week. Whether you bought anything or not, I am grateful that you took the time to take a look. We are busy making more clay tags and will ship all the pre-orders as soon as we can. OK enough chit chat. Thanks for stopping by! Watercolor hearts used in the graphic were purchased and used with permission from the talented Tracey Gurley Designs. 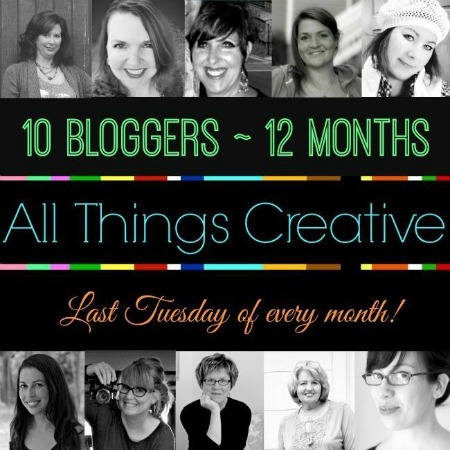 Loving this month… so many great projects! Thanks so much for the wonderful ideas,just got to look at some will look at the rest later,thank you so much for all the ideas. Ann, I always enjoy seeing your graphics that you come up with because they are always amazing! Pinning!